Thread: EBB Adjustable Pin Spanner Size? 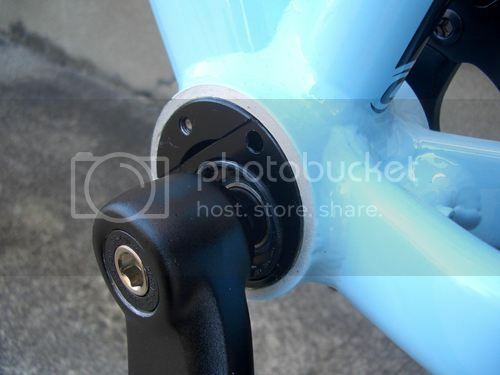 I have a 2013 Cannondale Trail SS and wondering what color Park Tool pin adjuster I need? I see a few different models on there site. Thanks. Can you post a pic of your BB? Do you have a LBS you can go to and try them out to see what version fits your BB better? Here is a photo I found online, I will snap one tonight when I get home from work. I have some amazing road bike shops around me but when I bring in a mtb they look at me like I have 6 heads, haha.... It is a good idea to bring in though and size it up. I asked my LBS about swapping out a bushing in my shock last month and they did not have the proper tools so I had to order that as well. I've got the same bike. A pin spanner isn't necessary, it should be slotted for an allen key (6mm maybe), the ***** is trying to get the internal circlip off of the tension bolt. Mine actually seized itself into the BB after 5months of riding. If you pop the whole thing out make sure you drown the outer shell/inner BB in grease. thanks, I finally come across an online article on page like 3 of google search. I will give it a go when I get my new wheel set next week. I also read it is not the best design and other company's make much better EBB's. Here is a link to the "how to"
By FireLikeIYA in forum Where are the Best Deals? What size spanner for front Haven?